A full-service host with a reputation for making it easy to build an online presence, iPage is also at the top of most lists when it comes to affordability. The company delivers a great deal of flexibility to beginners without overcomplicating the technical nature of building and promoting a website. However, as a longtime host that has been in business since 1998, iPage offers plenty of virtual and dedicated server options for the more experienced site owners who are looking for increased power, flexibility, and control. No matter which level of hosting you need, iPage includes a veritable ton of features and unlimited resources to make your hosting endeavors worthwhile. Looking for iPage coupons and promo codes that actually work? You're in the right place. See below for HostingAdvice.com reader-exclusive deals for every web hosting need. Simply click on the discount that interests you most to receive the sale pricing on the iPage website. Need some help? Learn more about iPage hosting with our expert hosting guide below. Does iPage offer a free trial? Unfortunately, iPage does not offer an introductory free trial of its services. That said, the company does give customers 30 days to ask for a full refund if they are unsatisfied with the hosting plan. Even though you’ll need to spend a few dollars to access iPage’s hosting, domain, and marketing tools, the company includes a bevy of free products, including a website builder, advertising credits, and security powered by SiteLock. What types of payment does iPage accept? You can pay for iPage services using a credit card, PayPal, a check, or money order. Visa and MasterCard are the only credit card options for international customers looking to pay in a currency other than US dollars. For those wanting to pay with a check or money order, iPage recommends mailing the payment to the company between 30 and 45 days in advance of the due date to ensure services aren’t terminated. Checks and money orders must be written out in US dollars; those wanting to pay in another currency should use PayPal or a credit card. Yes, PayPal is a great option for those looking to pay for iPage hosting services. Customers can even set up automatic payments to avoid having to keep an eye out for invoices and due dates. Which iPage hosting plan should I choose? Although iPage offers the complete range of shared, virtual, and dedicated server hosting options, they are most popular with first-time site owners or those otherwise just getting started online. The company’s shared hosting plans are supremely affordable and come packed with a full slate of add-on features, such as a website builder, SiteLock security, eCommerce functionality, analytics, and hundreds of dollars of advertising credits. When coupled with unlimited disk space and a free domain name registration, iPage shared hosting is a great choice for customers to start and grow their website to the point where the company’s VPS and dedicated options become a quick, simple transition. What billing plans does iPage offer? Even though iPage touts remarkable monthly hosting prices, plans are billed for at least one year at a time. At signup, customers can commit to up to three years of services to secure the best deals. When it comes time to renew, you can choose a month-to-month payment plan — but it’s understandably the most expensive. We recommend signing up for at least a year to see if iPage is the best fit for your website or online business. As with many of our favorite hosts, iPage will cover your first domain registration for the first term of your service. The company makes it incredibly easy to search for new domains, even enabling users to get a jump on new top-level domain extensions by offering the ability to pre-register domains before a new extension becomes generally available. However, if you register a free domain name and end up deciding either to cancel your iPage account or transfer the domain name elsewhere, the company will charge a non-refundable $15 domain fee if you would like to keep your domain name. Yes! Every iPage hosting service — including VPS and dedicated, which is rare — includes a free domain name registration. After the first year, most domains renew for fees ranging between $10 and $15 per year. What is domain privacy and is it included in iPage’s domain hosting services? Domain privacy protects the site owner’s personal information by replacing your contact information, which is required to register a domain, with iPage’s mailing address, phone number, and email address. The add-on service, also known as WHOIS privacy protection, prevents a customer’s private information from appearing in the public database associated with domain name ownership, dramatically reducing the odds of receiving spam, direct marketing solicitations, and malicious attacks. Domain privacy is not included in iPage plans by default, but you can add the service at any time for $9.99 per year. What is an uptime guarantee and does iPage offer one? Uptime guarantees refer to how much time in a given period a hosting provider promises that your website — and the infrastructure behind it — will be functioning properly and connected to the internet. Downtime means your site is inaccessible to visitors, and this can happen for a variety of reasons. If your site availability doesn’t meet the uptime guarantee, hosts will refund a portion of your hosting fees. 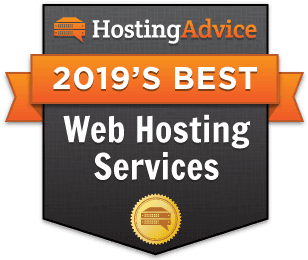 Most hosts use uptime guarantees to tout their services’ reliability and availability, which is especially important to those looking to create a business website or online storefront. Uptime guarantees are a chance to brag about high-powered hardware and the confidence a company has in its engineers and SysAdmins to keep everything running smoothly. Strangely, however, iPage is one of the few hosts — perhaps the only one — we’ve encountered that does not make information on an uptime guarantee readily available on its website. After chatting with a friendly sales representative, though, we were even more surprised to learn that iPage delivers 99.99% uptime. That mark is considered higher than the industry average, but we’re a little intrigued as to why the company doesn’t feature that information more prominently. Despite the red flag, we know that iPage wouldn’t have survived two decades of selling web hosting services without offering reliable uptimes and responsive support. Do I need a promo code to get discounted pricing on iPage plans? We make it easy on prospective iPage customers by going ahead and securing the discounted prices up front, from the start. Shared hosting customers will enjoy an impressive 75% discount, simply by signing up — no coupon code required. Although they’re slightly smaller markdowns, iPage still gives customers a great deal on virtual and dedicated servers, with 20% of hosting fees deducted for the first term. Does iPage offer a money-back guarantee? Yes, iPage offers a 30-day money-back guarantee on all of the company’s hosting plans. These refund policies typically disappear with VPS and dedicated server packages, so we appreciate the extra effort from the company. Customers can receive a full refund if they cancel within the first 30 days of services. Beware, however, that the money-back guarantee only applies to hosting services — fees for domain registrations, domain privacy, and other add-on services will not be repaid. Similarly, refunds are only available to first-time customers and those who paid with PayPal or a credit card. How does iPage pricing compare with that of other hosts? With prices sneaking in just under $2 per month, iPage is among the most affordable hosting providers in the industry. Sure, you can find a handful of providers with free hosting, but the quality of service and support can really suffer. We love that, for a minimal investment, iPage includes all the tools one needs to succeed online, from a website builder and SEO tools to advertising credits and eCommerce functionality.